The DT307SQ Mobile POS Tablet features the integration of a brilliant 7" capacitive touch screen and a quad-core, energy efficient processor within a slim, lightweight and durable package. With Android 4.2 operating system, the DT307SQ is easy to operate and to integrate with many applications. 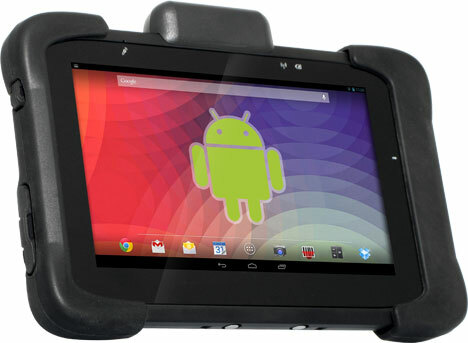 With built-in Wi-Fi and Bluetooth connection, as well as fully-integrated options such as RFID reader/ NFC, barcode scanner, MSR, and camera, this tablet offers seamless information capture for instant transmission on the sales floor, in the warehouse, in the restaurant, and in the field. 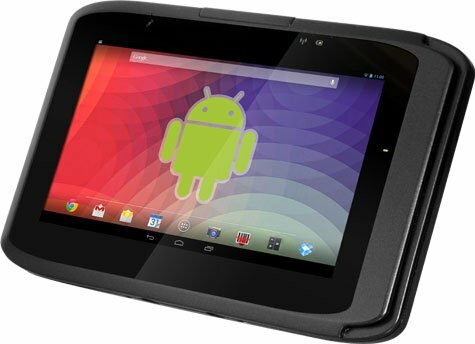 7" LED-backlight capacitive touch display with 1024 x 600 resolution, Android 4.2, quad-core 1.4GHz CPU, 8GB flash, 1GB RAM and micro-SD card reader, MSR and 2D Scanner, On-Screen Soft Keyboard, Bluetooth and Wi-Fi connectivity. AC-DC power adapter and stylus are included. 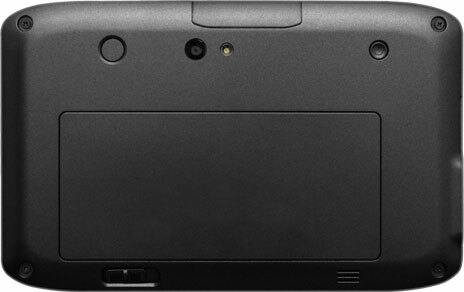 7" LED-backlight capacitive touch display with 1024 x 600 resolution, Android 4.2, quad-core 1.4GHz CPU, 8GB flash, 1GB RAM and micro-SD card reader, MSR, On-Screen Soft Keyboard, Bluetooth and Wi-Fi connectivity. AC-DC power adapter and stylus are included. 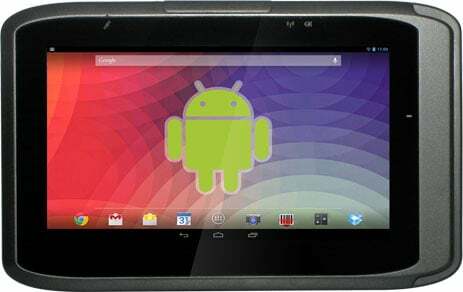 7" LED-backlight capacitive touch display with 1024 x 600 resolution, Android 4.2, quad-core 1.4GHz CPU, 8GB flash, 1GB RAM and micro-SD card reader, On-Screen Soft Keyboard, Bluetooth and Wi-Fi connectivity. AC-DC power adapter and stylus are included. AC-DC Adapter for DT430 series. Input 100 ~ 240V AC, output 5VDC@3A.